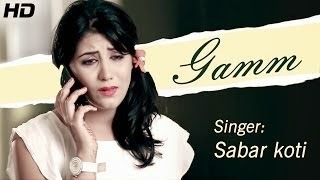 'Gamm Nahi Mukde' is a latest Punjabi sad song sung by Sabar Koti. It's Lyrics are penned by Tarsem Singh Bhatti. Label : Fresher Records Co.